WE'RE MOVING! Pennsylvania Ave. Here We Come! Posted on 03/18/2019 Are You a Union Worker or HIgh Wage Earner Hurt At Work But Don't Know Where to File Workers Comp? We've been at the Eye Street address for quite a while, but it's time for a move! 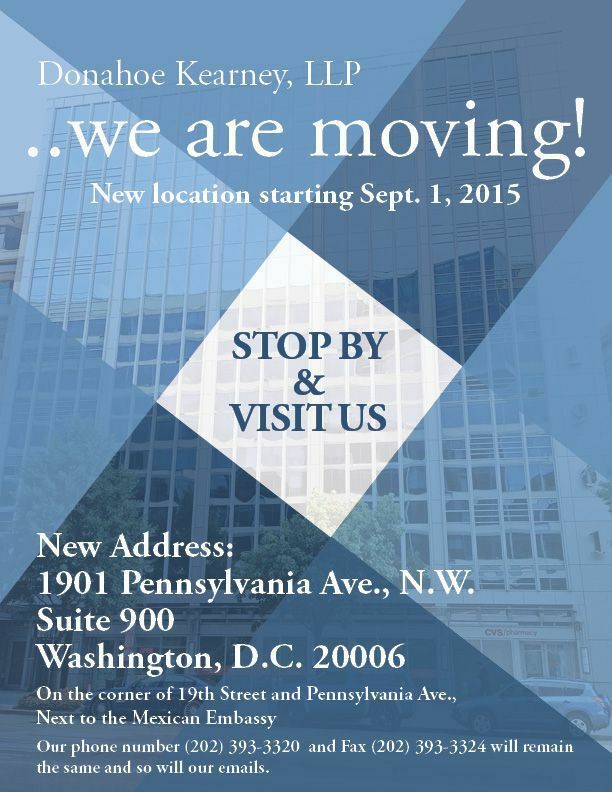 On September 1st, the Donahoe Kearney office will be at 1901 Pennsylvania Ave. in NW Washington, D.C., Suite 900. We will still be providing you the same level of customer service you've come to expect - our numbers and emails will all stay the same. Stop by and visit us at our new location!